The smartwatch market is set to explode in the next five years, with a new analyst report suggesting that by 2020, one in every 20 smartphone shipments will have a smartwatch to accompany it. That's the word from IHS Technology, who state that the current smartphone to smartwatch shipment ratio is around 500 to 1. The analyst's forecasts would mean that, by 2020, the smartwatch market will increase from 3.6 million in 2014 to a whopping 101 million. These estimates are similar to what we heard at the end of last year when Juniper Research published a report predicting that the wearable technology industry will increase from 27 million device shipments in 2014, to a whopping 116 million in 2017 and stated by the end of 2019, there will be 100 million smartwatch users worldwide. The IHS stats are based on booming Apple Watch sales – it states 19 million could be shifted this year alone - and also a huge uptake in Android Wear adoption: 96 million units in the next five years. 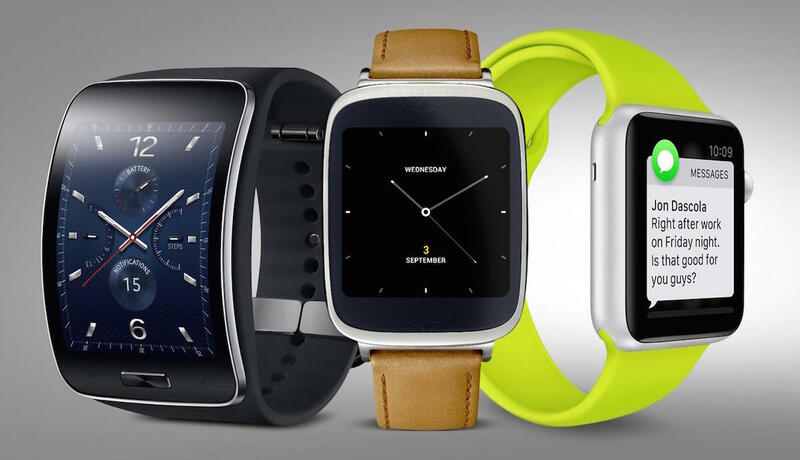 "Delivering a wide range of apps will be critical for smartwatch success," said Antonios Maroulis, analyst at IHS. "Apple's and Google's success with existing smartphone application stores will give them an invaluable head start over challengers. "Device makers may find tactical success in the short run with proprietary OS platforms such as Pebble or niche open platforms such as Tizen which Samsung supports. But in the long term, only standard platforms that are supported by many hardware makers will deliver sufficient scale to prove attractive to app makers."